Featuring Lovely Peter Lamas Gifts free for all, Table Prizes & Raffle Basket from AromaNaturals . . Don’t Miss out! Last year we reviewed highlights from Kline’s report on the complex and evolving market for beauty in home shopping and digital marketing channels. Now a key executive from Evine will share some insider insights about their experience with wellness and beauty brands that will help point to growth opportunities forecasted for 2019-2020. Nicole Ostoya joined Evine as Interim Chief Marketing Officer in March 2016, and was later named Executive Vice President & Chief Marketing Officer in April 2016. Most recently, Ms. Ostoya served as Co-Founder and Chief Marketing Officer for BOLDFACE Licensing + Branding where she launched several companies, including beauty brands The New Black and Kissing Elixirs. 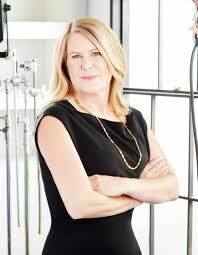 Previously, she was the Director of Business Development for Benefit Cosmetics at LVMH, where she successfully launched Benefit Cosmetics on QVC, helping bring the brand to life on television. Ms. Ostoya started her retail career at Nordstrom where she held several buying and merchandising positions, as well a Full Line Store Manager for several of their larger stores. Adamson Analytical Laboratories is excited to announce their partnership with Tentamus Group's network of over 50 laboratories worldwide and growing! We have a large network of laboratories internationally and nationally allowing us to encompass a broad spectrum of services. As a group we are your one stop shop for all of your testing needs. We specialize in Cosmetics, Personal Care, Biotechnology, Dietary Supplements, Food & Nutrition, Microbiology, Import Testing, Pharmaceuticals and Phytochemicals. We pride ourselves in our ability to facilitate large scale operations while still being able to provide personable quality customer service to our customers.